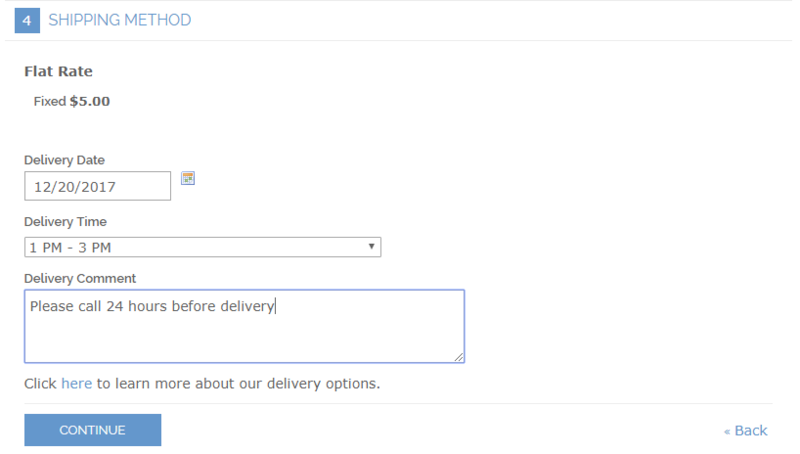 Allow your customers to select the delivery date, enter a comment and even choose the delivery time in the checkout. 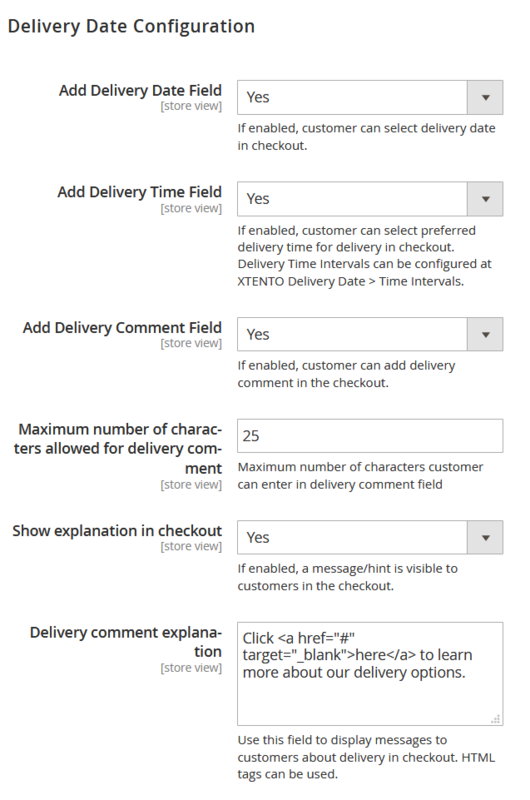 Flexible and easy to use, this extension will improve your customers checkout experience tremendously. 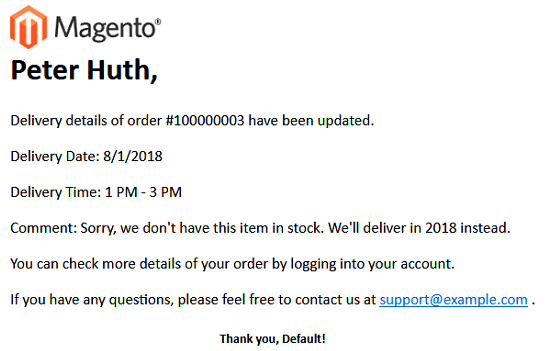 This extension allows you to add delivery date functionality to the Magento checkout. 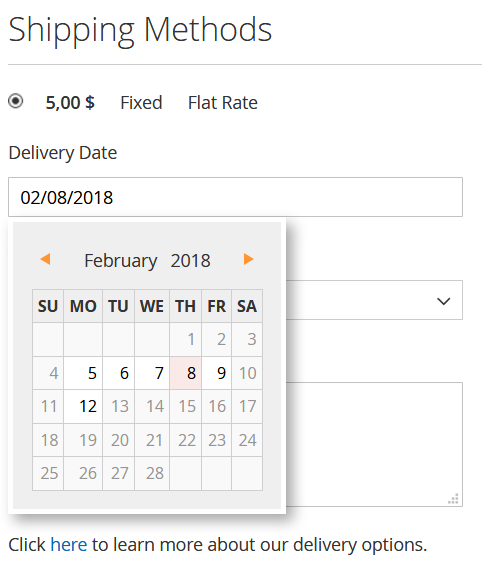 Delivery time intervals, holidays and delivery exceptions are fully configurable from the backend; easily set up non-delivery days, minimum/maximum delivery interval as well as show the selected delivery date/time/comment in the Sales > Orders grid in the Magento backend. 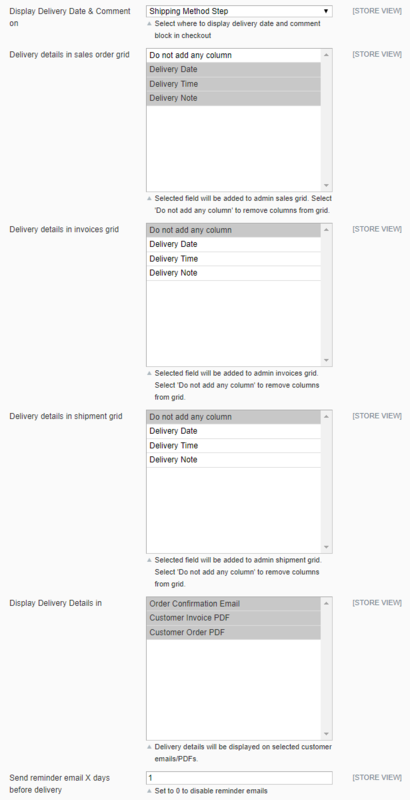 Configuration: Part 1 of the settings. Configuration: Part 2 of the settings. Configuration: Part 3 of the settings. 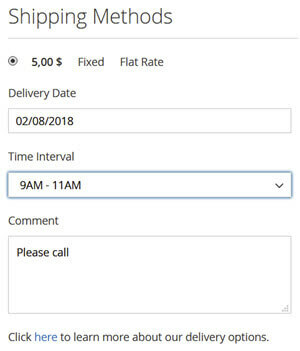 Built with flexibility in mind, this extension is fully configurable; every detail can be configured easily from within the system configuration - whether to display the delivery date field, whether to show a delivery time selector, or if a comment field should be added and much more. Be sure to check out the screenshots as well! 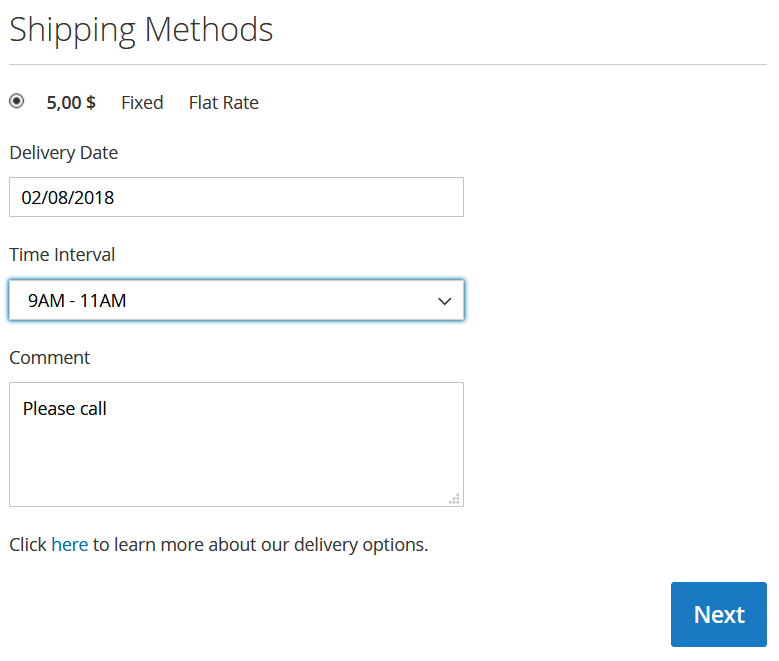 No matter if you're offering same-day or next-day delivery, or just want your customers to be able to select a specific delivery date, this extension allows you to set up fields for the delivery date, time and comment in the checkout. Provide great customer service and give your customers the ability to tell you about their wishes. 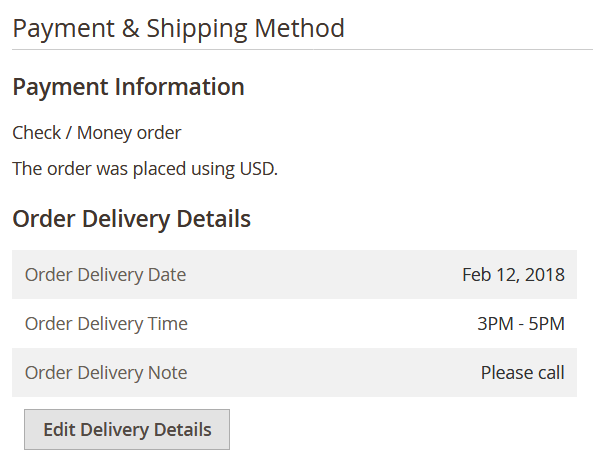 Easily define, for example, two-hour windows for delivery or show your customers that no specific delivery time is possible on this day. 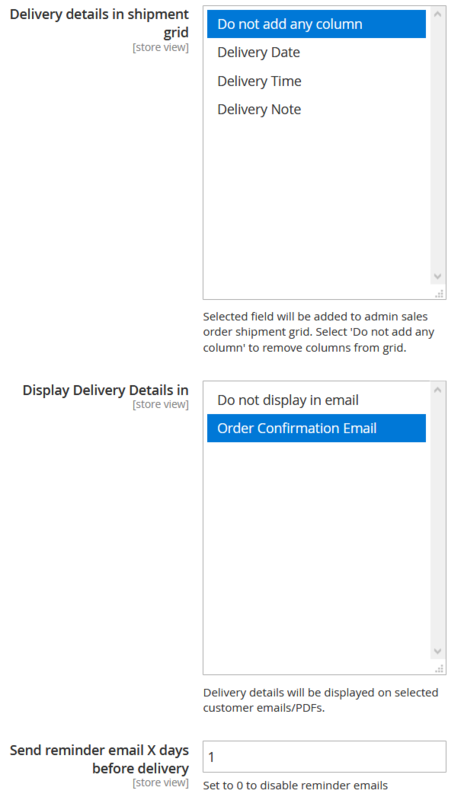 Set up an automated email notification that is sent X days before delivery to them to remind your customers that their order will be delivered. 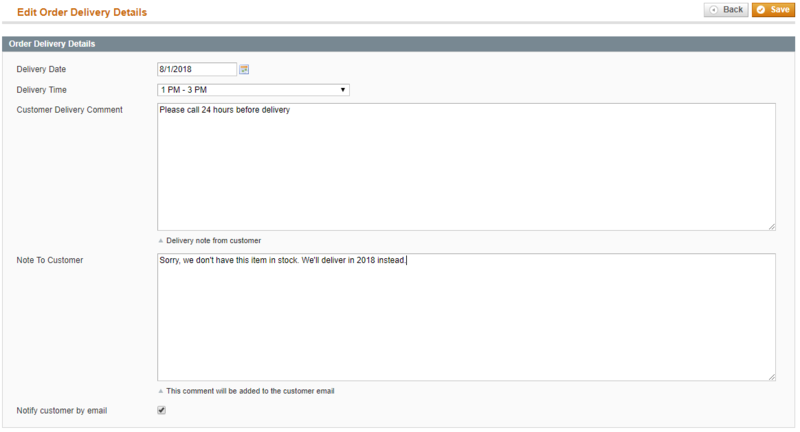 Display delivery date/time/comment in backend/sales grids/emails/PDFs. 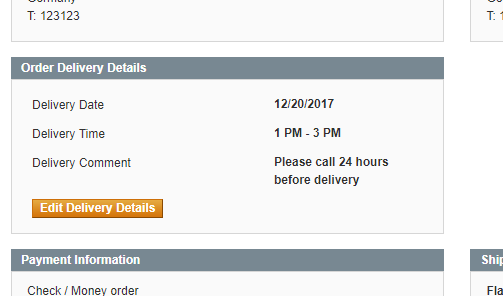 Edit delivery date/time from backend and notify customer by email to tell them their delivery date or time has been updated. Communicate further details to them. 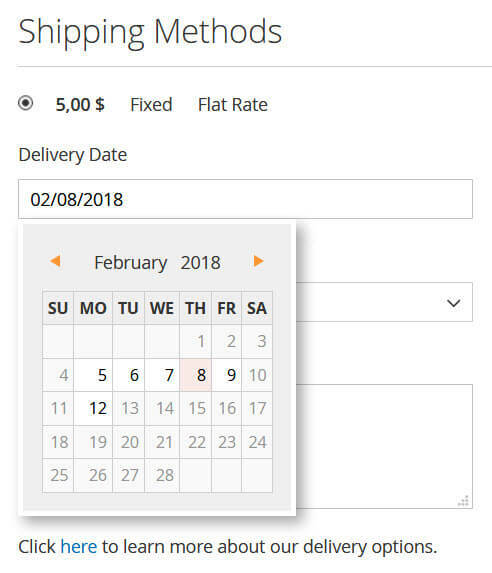 Easily define which days (and even date ranges) are not available for delivery. 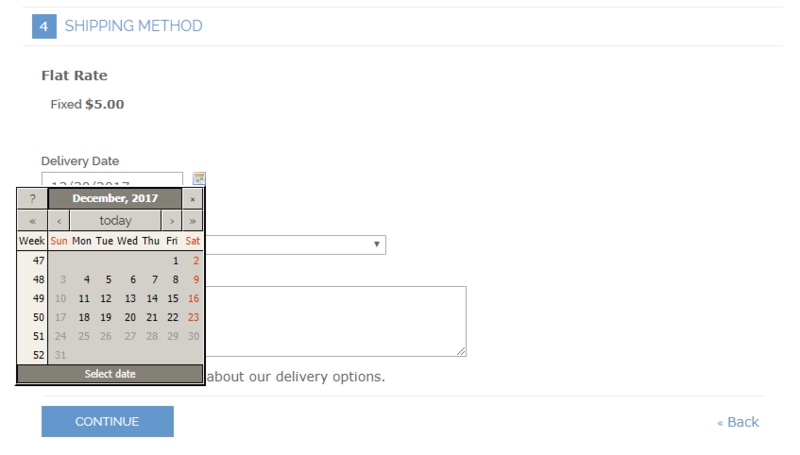 Set them up as "yearly repeating" to easily, for example, exclude Christmas as a delivery day every year, automatically. 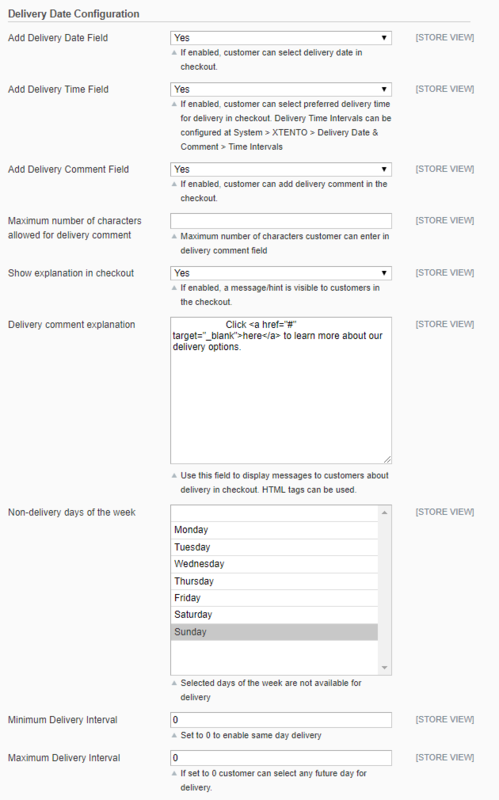 Enter your holiday schedule and transparently communicate to your customers when you're able to deliver or not. 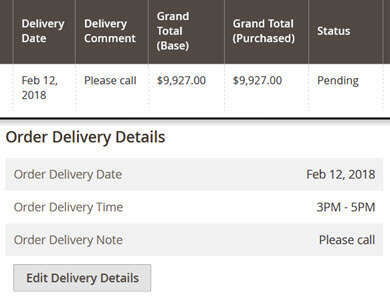 Your team needs a day to prepare shipments? 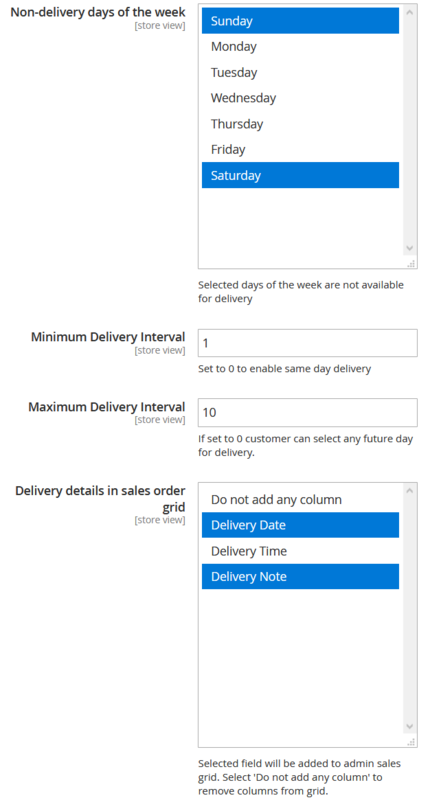 Set up a minimum delivery interval in the extension and your customers won't be able to select same-day delivery, for example. 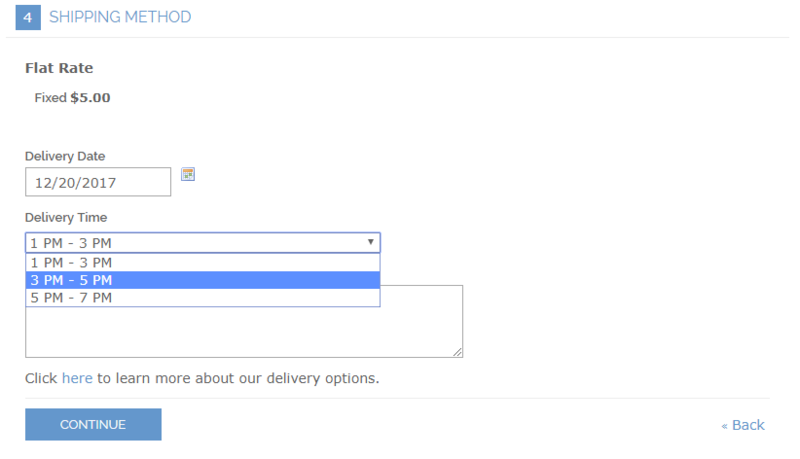 Also, the extension is multi-store compatible, configurable on store-view level.